Well here is a review that I have been waiting to do, I must admit I was late to the party but thats okay because now I can catch up on what I have missed out on. I just want to say I haven't bought the whole collection just a few little make up pieces that caught my eye but let me tell you I will be trying the skincare out. I pinky promise. So as the title says, is Glossier worth the hype? And here is my little guide to the most talked about make up brand. I must say I do prefer trying beauty products out before buying but I wasn't able to do that so I just went for it and hoped there would be something I loved. I just knew, it was time to see what the fuss was all about and perhaps I just could not take my eyes off the packaging? So lets move onto the products... I am honestly so impressed with them. I mean I could just keep talking and talking about them but REALLY they are great. I was very intrigued about this balm dot when I was scrolling through the website and it was something that I had to try as I thought to myself how can a makeup brand make a lip balm that smells of birthday cake? I was very wrong, the balmdot is birthday cake, it is like icing. It is devine if you love and I mean LOVE sweet smelling scents. What I love about it is the shine on your lips that it leaves and makes your lips feel very moisturised. I really do recommend this product and really want to try out the other balm dots. 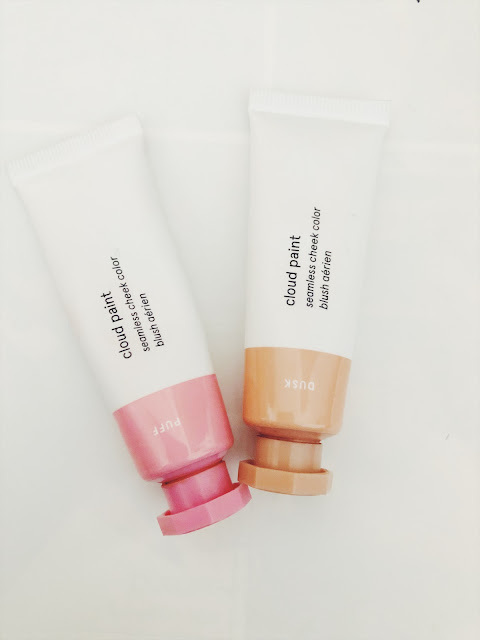 Cloud Paint is one of the most well known Glossier products that everyone cannot stop talking about. I was very excited to try it out. I have two of them; Puff and Beam. I really love both of them, I love how all you do is just use your fingers to apply. It really is simple as that and I love the formula, it leaves your skin feeling very dewy and adding a little bit of extra colour. It really is a great product and 100% recommend it. Boy Brow - well what I can say about this! 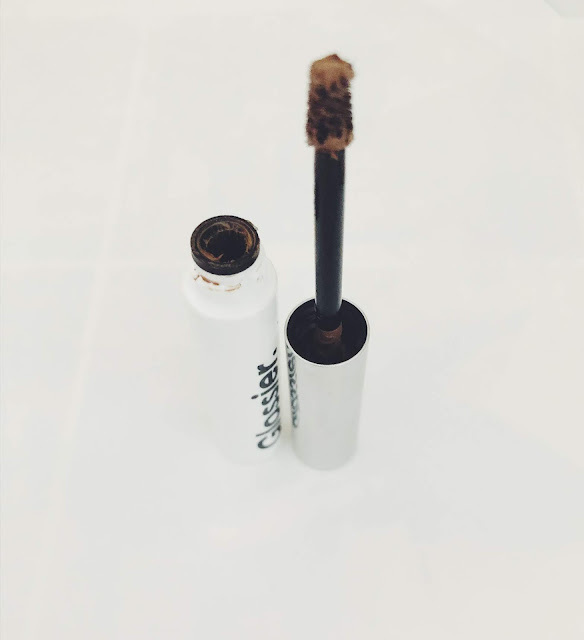 It honestly is amazing and makes your brows look amazing. It's every girls dream and if you like natural brows or just want to add another texture to them then you must get Boy Brow in your life. These new generation lipsticks are quite something. I have the shade 'Like' which is a cool pink. I really love this colour it is great to wear if you are going for a casual look and don't want to go big or bold with your lip colour. I also love how the lipsticks are made to adapt to you. 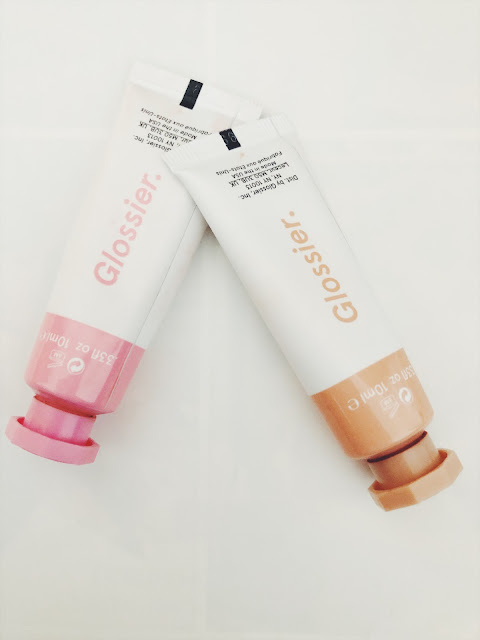 I have found this product very interesting, I love the concept to this skin tint and quite frankly well done Glossier for creating a product like this. It is the type of skin tint which is best to use when you having a chilled day/weekend and you don't want to wear lots of make up but you just want a little something on your face. Make sure you shake it first before you start using it! I really love this Stretch Concealer, it is very dewy and I love the fomula to it. This concealer works well with the Perfection Skin Tint but also on its own. It is very easy to apply all you do is gently swirl your fingertip over the concealer and pat in onto your face. 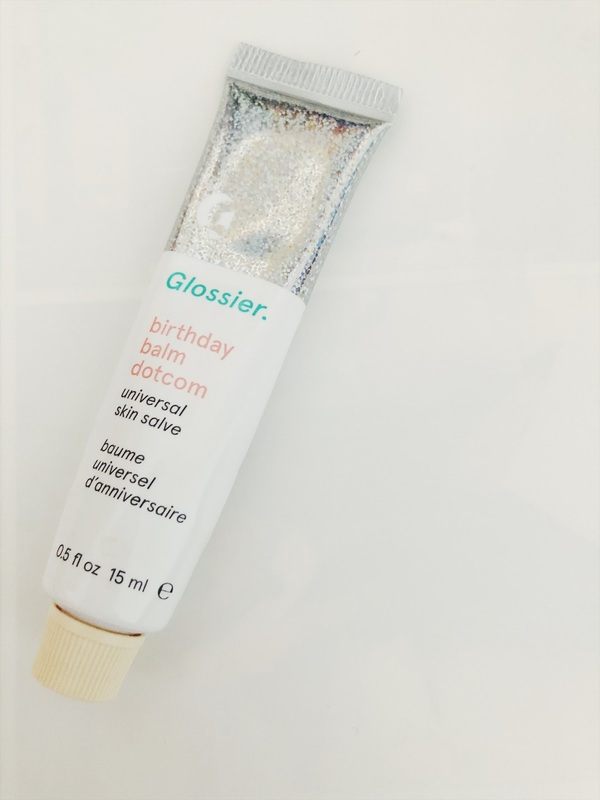 This highlighter caught my eye because actually this product is great. 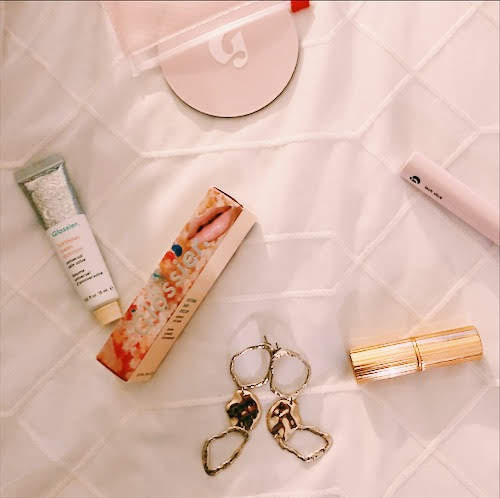 I love having a dewy highlight and I find its best to rub the product into your hands and then you can apply the highlight onto your face, It is great for traveling too. This mascara is great for making your lashes looking longer but still keeping it natural. I love mascara brush's like this one because they aren't glupy. I hope you enjoyed this blog post. 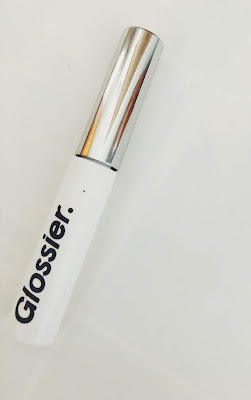 Please let me know in the comments below if you have tried any of these Glossier products and which ones do you prefer? Disclaimer: This post is not sponsored, all opinions are my own.